The autonomic nervous system is a diffuse, complicated component of both the peripheral and central nervous system. Due to the extensive innervation of most organs, there are a number of different techniques that have been developed to study the autonomic nervous system. For the purposes of this review, we will focus on tests performed by neurologists, although many additional tests of autonomic function exist across various specialties. The autonomic function tests performed by neurologists typically encompass three major domains of physiological measurement: (1) measurement of parasympathetic cholinergic cardiovagal function, (2) measurement of sympathetic adrenergic vasomotor function, and (3) measurement of sympathetic cholinergic sudomotor function. These tests of autonomic physiology help to localize the lesion within the autonomic nervous system and hence will aid in the differential diagnosis. 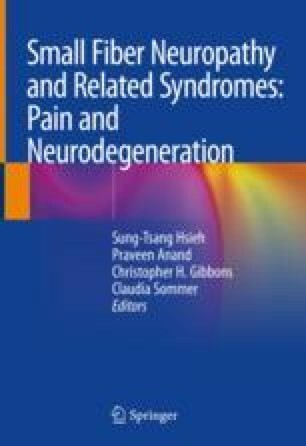 Autonomic function testing is a recommended part of polyneuropathy screening in individuals with symptoms of autonomic dysfunction. A combination of different autonomic function tests provides a higher sensitivity and specificity than a single measure. In addition to a diagnosis of sympathetic adrenergic, sympathetic cholinergic, or parasympathetic dysfunction, tilt table testing can confirm the presence of orthostatic or delayed orthostatic hypotension, postural tachycardia syndrome, and neurally mediated syncope. Recently, the expansion of the skin biopsy technique to include evaluation of somatic nociceptive C-fibers and autonomic sudomotor, pilomotor, and vasomotor fibers has improved our ability to define a structural autonomic abnormality. Although the methods to quantify the density of autonomic fibers within skin biopsies are still in evolution, substantial progress has been made in understanding the structural and functional correlates of disease.